HTC has announced HTC Aria – a pocket-sized dynamo which packs a punch with a five megapixel camera, a bright 3.2 inch HVGA display, and offers users Android smartphone functionality in an amazingly easy-to-carry design. Exclusive to Optus, this feature packed Android 2.1 OS smartphone is available for $0 upfront on the $49 Optus Cap plan for consumers or the $49 Business Complete Advantage plan for small business customers, both over 24 months (Minimum total cost is $1176). Along with being ultra-small at just over 10 cm long and weighing a mere 115g (battery included), it comes with a 3.2-inch 320×480 pixels capacitive touchscreen, 384 MB RAM, 512 MB ROM, HSDPA, WiFi, 5MP camera, microSD memory card slot, and a 1200mAh battery. 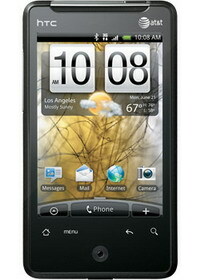 The HTC Aria also offers a full selection of the newest and most popular Google services via the Android 2.1 OS. This includes Google search, Google Maps, Gmail, YouTube and more. With Android Market, customers can also choose from more than 80,000 applications to further personalise the mobile experience. The new HTC Aria will be available mid-October exclusively from Optus stores and approved dealers. Optus customers can purchase the HTC Aria for $0 upfront on the $49 Optus Cap plan for consumers or the $49 Business Complete Advantage plan for small business customers, both over 24 months (Minimum total cost is $1176). For more information on Optus Cap plans, please visit www.optus.com.au/cap. 0 comments on "HTC Aria for Australia’s Optus in mid-October"